The University of Alabama Crimson Tide is indeed among the most storied, respected, and envied college football programs in the nation. In Alabama as children we are taught of the greatness of The Tide, we learn of the legendary players, the great games, the heroes on the gridiron, and of the brilliant coaches that led us (and in Alabama we do think of it as "us") to the pinnacle of the college football world and brought respect and honor not just to Alabamians, but to an entire region in a nation here many looked down their noses at Alabama and the Southern States . 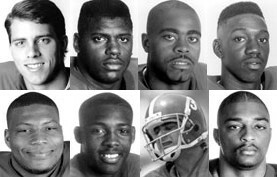 What follows will be a brief history of Alabama Football along with photos of some of the all time greats. Enjoy the story and ROLL TIDE! 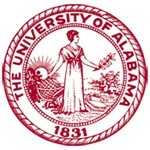 Football was introduced to The University of Alabama by William G. Little of Livingston, AL after he learned of the game while a student at Phillips Exeter Academy in New Hampshire. Alabama football took its first step on the road to greatness in 1892 by winning their first game 56-0 (albeit over a high school team). That first team was coached by E.B. Beaumont and finished its first season with a 2-2 record. Subsequent teams of the 1800's were led by coaches Eli Abbott, Otto Wagonhurst, Allen McCants, and W.A. Martin. The teams posted an overall 11-13 record to close out the 1800's. 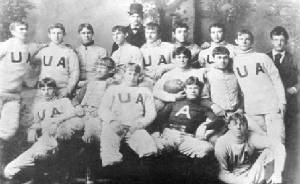 Also of note, Alabama and Auburn played their first game in 1893 with Auburn winning the contest 32-22. Bama faired much better in the next decade, posting a record of 45-23-7 for the years 1900-1909. Coaches included M. Griffin (2-3), M. S. Harvey (2-1-2), Eli Abbott & James Heyworth (collaborated to coach the '02 team; 4-4), W. B. Blount (10-7), Jack Leavenworth (6-4), and Doc Pollard (21-4-5). 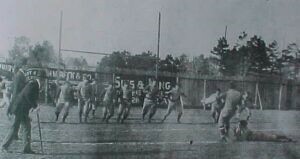 The first game in the series with Tennessee came in 1901, ending in a 6-6 tie after the game was called due to darkness. 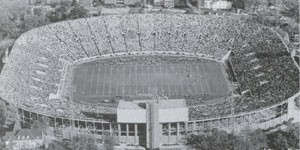 Due to the bitterness of the rivalry the Auburn game of 1907 was the last played by the two schools for 41 years; they played once again in 1948. 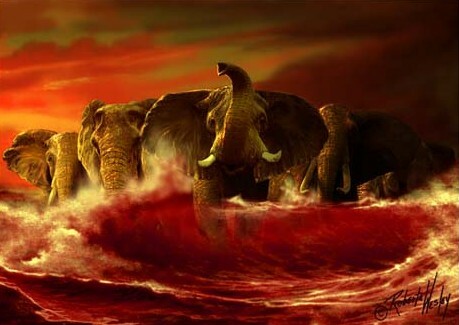 Also of note, The Alabama Thin Red Line (as the team was known) was first referred to as The Crimson Tide by the Birmingham Age-Herald writer Hugh Robert. Alabama was lead by four different coaches during the decade spanning 1910-1919: Guy Lowman (4-4), D.V. Graves (21-12-3), Thomas Kelley (17-7-1), and Xen C. Scott (who coached the team to an 8-1 record in 1919). Alabama played what I believe to be their first night game in their 1913 game against Tennessee. The game ran late and spectators with automobiles were asked to circle the field and turn on their lights so that play could continue. 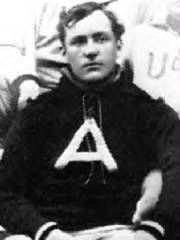 In 1915 Bully VandeGraaff (OT/DT/P/K) became Alabama's first football All-American. 1915 was also the first time the team traveled west of Louisianna, losing 20-0 to Austin, TX. There was no team fielded in 1918 due to World War I. Alabama posted a record of 50-24-4 for the years 1909-1919. 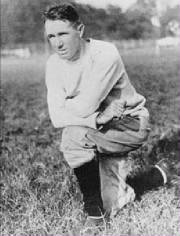 Xen C. Scott continued as head coach into the 1920's. 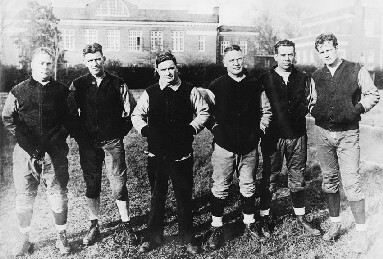 The 1920 team was the first at The University to travel across the Mason-Dixon Line (the defeated Case College in Cleveland, Ohio 40-0) and the first to win 10 games, finishing 10-1 with the lone loss coming to Georgia tech 21-14. Alabama amassed 377 points while allowing only 35 points in 8 shutouts. Halfback Mulley Lenoir scored 25 TD's. Standout fullback Riggs Stephenson played major league baseball from 1921-1934 for the Cleveland Indians and Chicago Cubs where he had a lifetime batting average of .336 (the highest lifetime batting average of any eligible ballplayer not in baseball's Hall of Fame). Scott coached through the 1922 season. In 1922 in Philadelphia, PA his Alabama team defeated Penn 9-7 in front of a crowd of 25,000, at then a huge audience, who came to witness what they thought would be an annihilation at the hands of the mighty Quakers. 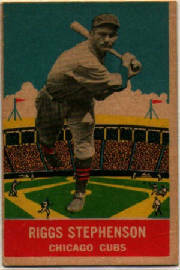 Coach Scott died of throat cancer following the 1922 season. He compiled an overall record of 29-9-3. Legendary Coach Wallace Wade (previously an assistant at Vanderbilt) took over the reigns in 1923 and coached the team through the 1930 season. 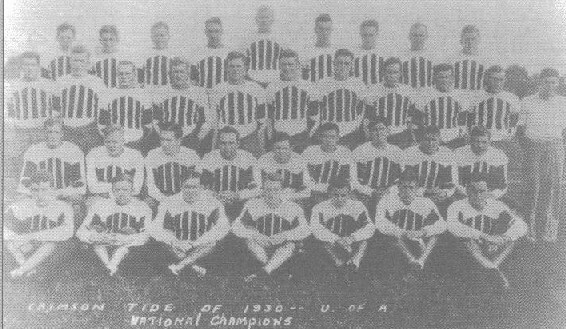 The 1924 season was Alabama's first championship season (winning the southern conference). The team recorded seven shutouts on their way to finishing an 8-1 season by crushing the South's number 1 team Georgia 33-0. Up to that game the Georgia defense had allowed a mere 14 points for the entire season. 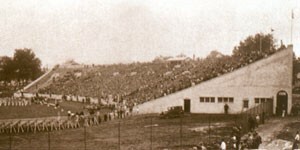 Alabama posted a 10-0 record in 1925 (shutting out eight opponents and giving up only one touchdown during the regular season) and claimed our first National Championship (sharing the title with Dartmouth), capping the season by stunning the local fans with a 20-19 victory over Stanford in the Rose Bowl, a game in which no previous Southern team had ever played. 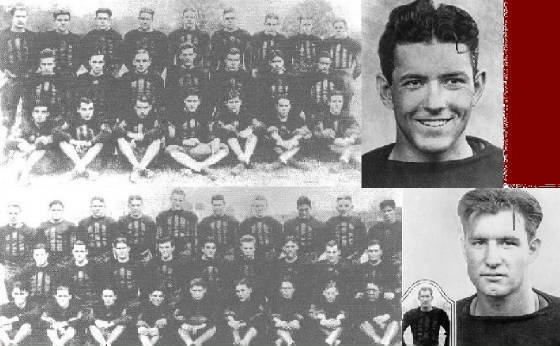 The 1924 and 1925 teams were led by standout backs Johnny Mack Brown and Pooley Hubert. 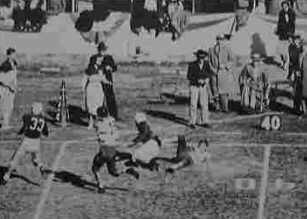 Brown, known as the "Dothan Antelope" was named MVP of the Rose Bowl victory over Stanford and went on to have a successful career as a movie star, acting opposite such leading ladies as Mary Pickford, Greta Garbo and Joan Crawford. Coach Wade entered a rebuilding period following the back to back national championships of the 1925 and 1926 seasons 1927, 28 and 29 seasons were winning seasons, totaling five, six and six wins respectively. 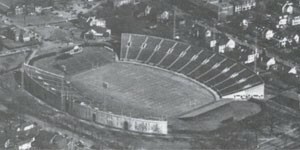 Alabama played its first game at Birmingham's Legion Field (losing to Georgia) in 1927 and its first game at Denny Stadium (defeating Ole Miss) on the University of Alabama campus in 1929. 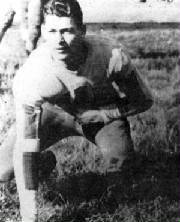 Tackle Fred Sington and back Tony Holm were both named All-American. Coach Wade became the first ever coach to have a weekly show, appearing on WAPI radio in Birmingham. Alabama finished the 1920's with a record of 72-21-6 and two national titles. Several months prior to the 1930 season Coach Wade announced that he had signed to coach Duke and that it would be his last season at Alabama. 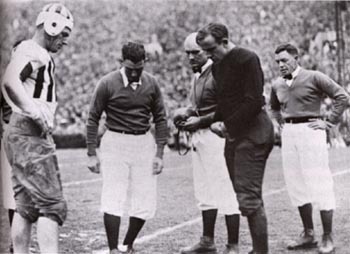 The 1930 team shutout eight opponents that season, allowing only 13 points (6 to Tennessee and 7 to Vanderbilt) and defeated Washington State 24-0 in the Rose Bowl to finish a 10-0 season and win a third national championship. Wade finished his career at Alabama with a record of 61-13-3. Fred Sington was once again named All-American and was named Phi Beta Kappa; John Henry Suther was also selected as All-American. Wade was replaced by Frank Thomas. Alabama finished 9-1 in Thomas's first season as coach (he would coach The Tide through the 1946 season), outscoring opponents 360-57. The only loss that season came in the game against Tennessee. Alabama was 8-2 in 1932, the last year for the Southern Conference. 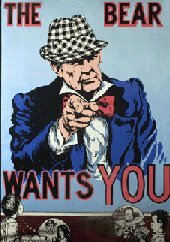 Alabama would join Auburn, Florida, Georgia, Georgia Tech, Kentucky, LSU, Mississippi, Mississippi State, Sewanee, Tennessee, Tulane, and Vanderbilt to form the Southeastern Conference in 1933. Alabama won the first of 21 (to date) SEC Championships in the coference's first season. Guard Tom Hupke was selected as All-American...a young man from Arkansas named Paul "Bear" Bryant was an end on that squad. The Crimson Tide was 10-0 and won the 1934 national championship (sharing it with Minnesota and Pittsburgh) before defeating Stanford in the Rose Bowl. In 1934 the Alabama offense averaged over 31 points per game while the defense allowed less than 5. Joining Bryant on the team were All-American tailback Dixie Howell, tackle Bill Lee, and future NFL and College Hall of Famer end Don Hutson. Howell and Hutson were gone from the 1935 team that finished 6-2-1. Bryant added to his legacy by playing with a broken leg against rival Tennessee. The 1936 team (8-0-1) included All-American guard, future World's Heavyweight Wrestling Champion and Phi Beta Kappa Arthur "Tarzan" White and future College Hall of Famer and 1935 All-American Riley Smith. Paul Bryant joined Frank Thomas's staff as an assistant. 1936 was the first year for the AP poll, Bama finished 4th. The 1937 Crimson Tide was SEC Champs and 9-0 before losing to California in the Rose Bowl 13-0 (the only time Alabama lost in the game) and placing 4th in the AP poll for the 2nd straight year. The 1938 (AP 13) and 1939 teams were 7-1-1 and 5-3-1 respectively. During the 1930's Alabama posted a 79-11-5 record. Frank Thomas continued as head coach through the 1946 season. The 1940 26-0 victory against Spring Hill in Murphy High School Stadium in Mobile was the first night game in the state. Coach Bryant left Thomas's staff that season to join the Vanderbilt staff as an assistant. The 1941 team defeated Texas A&M in the Cotton Bowl (their first bowl game other than the Rose Bowl). Holt Rast was named All-American. 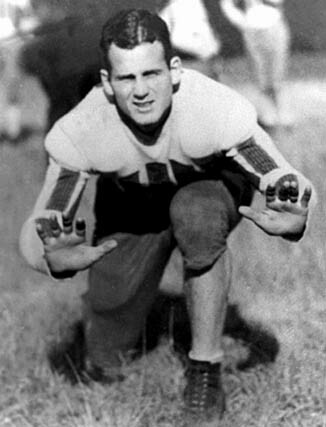 The 1942 team included All-Americans center Joe Domnanovich and tackle Don Whitmire. Like most schools, Alabama chose not to field a team in 1943 (due to WW II) so their victory over Boston College in the Orange Bowl on January 1, 1943 was their last game played until the 1944 season. 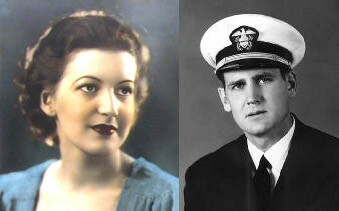 Bobby Tom Jenkins and Don Whitmire both entered the Naval Acadamy in 1943 and were both named All-American while Midshipmen. At the end of the 1942 season Alabama was ranked 10th in the AP Poll. In 1945 Alabama, lead by freshman QB Harry Gilmer finished 5-2-2, losing to Duke in the Tide's first Sugar Bowl. Alabama was 10-0 in 1946 (outscoring opponents 43-8 per game, including a 21-7 victory over Paul Bryant's Kentucky team) and defeated Southern California in the Rose Bowl 31-14, but still only finished second to Army in the AP Poll. After the Rose Bowl the magnates decided in all later years the contest would be a Big-10 vs. Pac 8 matchup making Alabama both the first and last Southern team to play in the Rose Bowl. Harry Gilmer and Vaughn Mancha were both named ALL-American. MVP of the Rose Bowl Harry Gilmer rushed six times for 216 yards. He averaged 36 yard per carry in the first time a Bama player totaled more than 200 yards in a game. With 1 field goal, 21 PAT's and two TD's kicker Hugh Morrow won the NCAA title for scoring by a kicker. Due to illness Frank Thomas left Alabama following the 1946 season with an overall record of 115-24-7 after coaching for 15 seasons in 16 years, winning the national championship in 1934. Red Drew was named head coach in 1947; Alabama was 8-3 in Harry Gilmer's last season playing for The Tide. At the end of his Alabama career Gilmer was the school's all-time rusher, passer, punt returner, kickoff returner and interceptor. 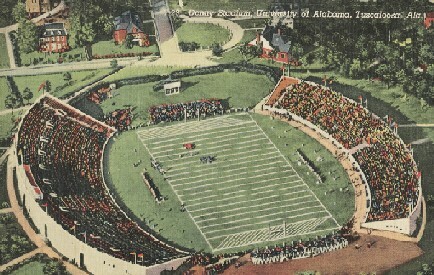 1948 marked the renewal of the Alabama-Auburn rivalry with Alabama winning 55-0 in Birmingham before a crowd of 46,000. An additional 2000 fans watched the game at the Birmingham Armory through a pay-per-view telecast. Alabama was 66-23-4 during the 1940's. 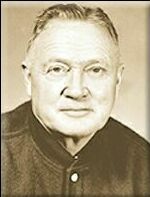 Red Drew would continue as head coach through 1954. The 1950 team featured All-American QB Ed Salem and future All-American Bobby Marlow who ran for 180 yards and four TD's against Georgia Tech. A final AP ranking of 16 wasn't good enough to send The Tide bowling in an era where there were few bowls. 1951 saw Bama post a disappointing 5-6 record (their first sub .500 record since 1903). 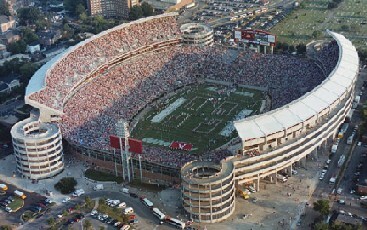 Their loss to Tennessee (27-13) was the first Alabama game televised. One of the five wins came 25-7 thumping of Auburn in which Bobby Marlow became the second Alabama back to gain over 200 yards (233) on the ground. It stood as the Alabama record until Bobby Humphrey ran for 284 in 1986 against Mississippi State. Bobby Marlow was named All-American and Hootie Ingram's 10 interceptions was best in the nation; the team finished at 10-2. Alabama was 6-3-3 and SEC champs in 1953, but lost to Rice in the Cotton Bowl. 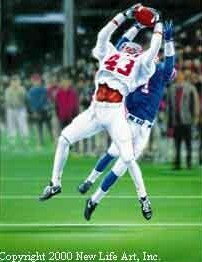 A play I would consider to be one of the most memorable as well as most infamous in Crimson Tide history and one almost every Tide fan knows about, occurred during the second quarter. Rice runner Dicky Moegle took the hand-off on Rice's five and broke away down the Alabama sideline for what was sure to be a touchdown. Bama FB Tommy Lewis came off of the sideline and tackled him at Alabama's 40. Moegle was awarded a TD, Lewis earned a spot in college football infamy. Coach Drew concluded his stint at Alabama in on a losing mark (4-5-2) after the 1954 season. His record as head coach was 45-28-7. J.B. "Ears" Whitworth led the team from 1955-1957, undoubtebly the bleakest era in Alabama football history. Whitworth's record was 2-24-2. 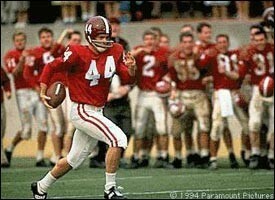 Whitworth's first season was the final season at Alabama for future NFL superstar Bart Starr. Starr would be drafted by the Green Bay Packers in the 17th round and would eventually lead the Packers to five NFL championships and would be named MVP of Superbowls I and II. Near the end of the 1957 season it was announced that Paul Bryant would be leaving Texas A&M to become head coach at Alabama. Bryant came to Alabama after turning three other programs around. He was coach at Maryland in 1945 (6-2-1), Kentucky 1946-53 (66-25-6), and Texas A&M 1954-57 (25-14-2). Before he coached any of those schools Bryant was almost head coach at Arkansas (his native state). On December 7, 1941 he was traveling to Arkansas to be named as head coach. Upon hearing the news of the attack on Pearl Harbor he decided instead to enlist in the Navy; he served as an officer in North Africa during the years 1942-1944. After being honorably discharged he returned state side to North Carolina and trained new enlistees. He coached the football team at North Carolina Pre-Flight and retired from the Navy at the rank of Lt. Commander. His 1950 Kentucky team was 11-1 and won the school's only SEC Championship, ending Oklahoma's and coach Bud Wilkinson's 31 game win streak. The 1954 Texas A&M team known as "The Junction Boys" was Bryant's only losing season (1-9) as a head coach; future Alabama head coach Gene Stallings was on that team. 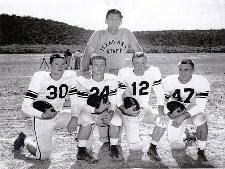 His 1957 Texas A&M squad featured John David Crow, the only Bryant coached Heisman Trophy winner. 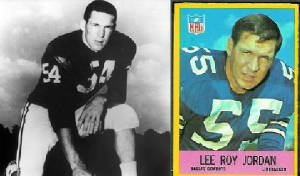 In 1958 he took over an Alabama team in disarray and stayed at Alabama until his retirement following the 1982 season. Paul William Bryant, the 11th of 12 children, was born on September 11, 1913 in Moro Bottoms, a small community in southern Arkansas near Moro Creek. 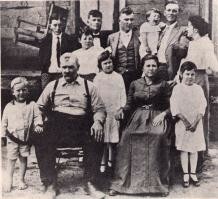 In 1924 the family moved to the big city of Fordyce, Arkansas (population 3,600). At age 13 he tried out for and made the football team, having never actually seen a game before his first. 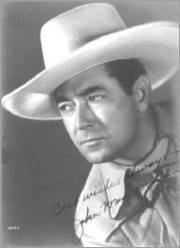 He earned the name Bear in 1927 when a traveling showman was offering one dollar to anyone who will wrestle a bear, Bryant did it, but the bear's owner left without paying him his money, Bryant, however, got a nickname. In 1930 Bryant's Fordyce High School Red Bugs won the state championship while winning every game. Alabama assistant coach Hank Crisp came to Arkansas in 1931 to recruit other players, but left with Bryant instead. While still a player at Alabama he married Mary Harmon Black. Alabama was 23-3-2 while he was a player. 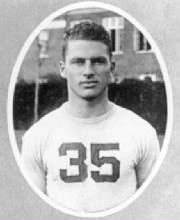 After his playing days were over he went to Union College in Tennessee (1936) as an assistant, but came back to Alabama when Coach Frank Thomas offered him a job. He would later go to Vanderbilt as an assistant before joining the Navy. When asked about why he was leaving his successful Texas A&M program to coach an Alabama team in shambles he simply replied, "I left Texas A&M because my school called me. Mama called, and when Mama calls, then you just have to come running.". 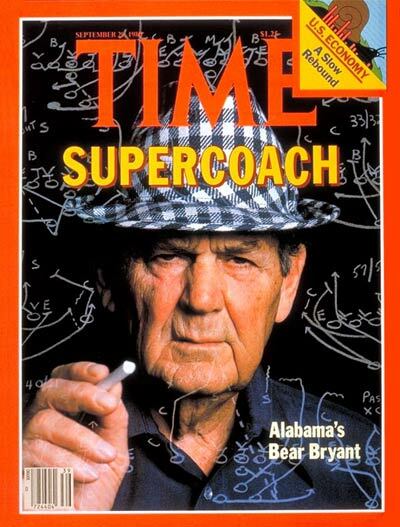 Bryant's first team (1958) at Alabama turned in a record of 5-4-1 (they were 2-7-1 the previous season). The 1959 team (7-2-2) finished 10th in the AP rankings. For the 50's Alabama was 50-48-10. 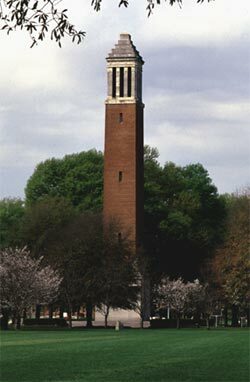 1960, Bryant's third year, had Alabama ranked 9th at the end of the 8-1-2 season. 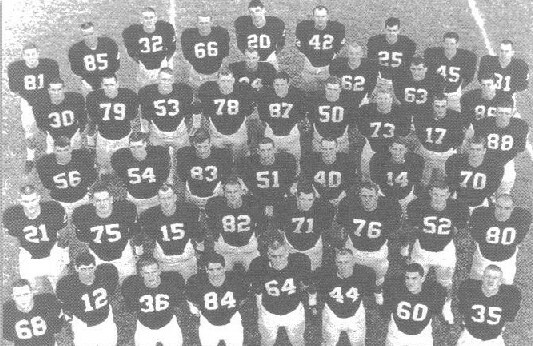 The Bear accomplished the impossible, four years after having taken over a team that had been 8-29-3 for the previous four seasons The Tide finished 11-0 in 1961 and won the national championship. Alabama outscored its opponents 297-25 and won their first Sugar Bowl. 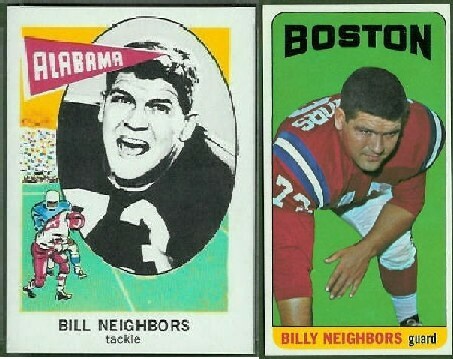 OT Billy Neighbors was named All-American. Bryant was selected as National Coach of the Year. The next season (1962) had Alabama (10-1) only one loss (Georgia Tech 7-6) from another national title. The team was led by Joe Namath and All-American LB Lee Roy Jordan (who would later star in the NFL with my favorite team, the Dallas Cowboys) to a 10-1 mark and a 17-0 shutout over Oklahoma in the Orange Bowl. Jordan finished fourth in the Heisman race. Alabama again was named national champions in 1964, a team that included All-Americans Namath, HB/K David Ray, T Dan Kearley, and G Wayne Freeman. Namath would go one to a stellar career with the New York Jets. Another national championship came in 1966. Alabama (9-1-1) finished the regular season at number four, but following the bowl losses of numbers 1-3 (number three was Nebraska, who lost to Alabama in the Orange Bowl. QB Steve Sloan and C/LB Paul Crane were named All-American. 1966 saw Alabama finish 11-0 (outscoring opponents 301-44), they weren't proclaimed champions by either the AP or UPI, but were by: National Championship Foundation, Clyde Berryman, Cliff Morgan, ARGH Power Ratings, Earl Jessen, and Soren Sorensen. Led by QB Ken Stabler (who would later star for the Oakland Raiders), All- Americans L Cecil Dowdy, DT Richard Cole and SE Ray Perkins (who would take over the Alabama program after Bear's retirement), the team defeated Big 8 Champs Nebraska 34-7 in the Orange Bowl. 1967 (8-2-1) concluded with a loss in the Cotton Bowl to Gene Stallings' (who would lead Bama to a national championship in 1992) Texas A&M team 20-16. Stallings left his position as assistant at Alabama to take over as head coach for A&M in 1964. All-Americans that year were QB Ken Stabler, Dennis Homan, and S Bobby Johns. 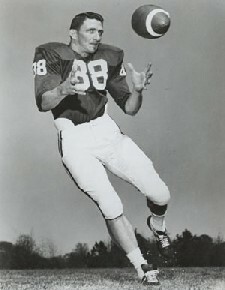 The 1968 edition of The Tide (8-3) included All-Americans LB Mike Hall and NG Sammy Gellerstedt. Alabama defeated Miami in ABC's first ever prime time college game. The 1968 team were great on defense, but fell short on offense while the 1969 team (6-5) had the opposite problem. Guard Alvin Samples was named All-American in 1969. Alabama was 90-16-5 during the 1960's. The next decade started out on a low note (by Alabama football standards anyway) with another six win season in 1970. RB Johnny Musso was named All-American and would repeat it the next year along with G John Hannah, who many consider to be the greatest lineman of all time, led the team to an 11-1 mark and returned Bama football to its high standards. Bryant received national recognition, being named National Coach of the Year. Hannah repeated as All-American in '72 (another ten win season). Joining him were C Jim Krapf and DE John Mitchell. Hannah would go on to star for the New England Patriots. 1973 saw Alabama achieve 11-1 with an offense that averaged over 480 yards per game and scored 477 points while the defense gave up only 128 (an average score of 39.8-10.7). The UPI voted before the bowls so Alabama claimed the national championship prior to their 24-23 heartbreaking loss to Notre Dame in the Sugar Bowl. G Buddy Brown, SE Wayne Wheeler and LB Woodrow Lowe were selected as All-Americans while Bryant was named National Coach of the Year. Alabama was 11-1 again the next year (1974) with the lone loss coming again at the hands of Notre Dame (this time in the Orange Bowl 13-11). All-Americans were DE Leroy Cook, CB Mike Washington, LB Woodrow Lowe and C Sylvester Croom (currently head coach at Mississippi State). 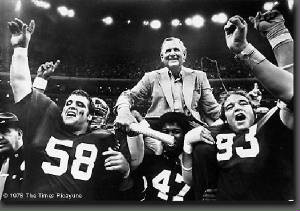 1975 marked the third consecutive season Alabama finished 11-1, losing the season opener to Missouri. Woodrow Lowe was selected for the third time as All-American, DT Bob Baumhower joined him. Future NFL standout End Ozzie Newsome was another Tide offensive star. The state legislature renamed Denny Stadium Bryant-Denny Stadium in 1975. Baumhower and Newsome were All-Americans on the 1976 team that finished 9-3. 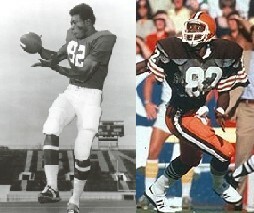 Another eleven win season in 1977 with All-American Ozzie Newsome starring saw Alabama enter the bowls ranked second. Despite defeating Ohio State 35-6 in the Sugar Bowl a previously fifth ranked Notre Dame jumped them in the polls. Alabama was proclaimed national champions by the AP in 1978 (11-1), following the 14-7 "Goal Line Stand" Sugar Bowl victory over Penn State. LB Barry Krauss and DT Marty Lyons were named All-Americans. 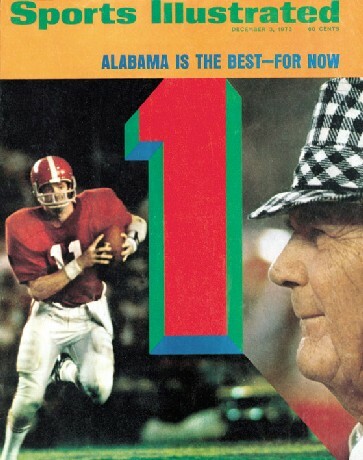 Perfection (12-0) was achieved by the 1979 Crimson Tide who was again chosen as national champions following their 24-9 victory over Arkansas in the Sugar Bowl. All-Americans on the 1979 team were G Jim Bunch, future NFL Hall of Famer C Dwight Stephenson and CB Don McNeal. Alabama finished the 1970s 103-16-1, with five of those losses occurring in 1970. Alabama football during the 80's started out with a 10-2 record and a final national ranking of sixth. Losses for the 1980 season were by scores of 6-3 to Mississippi State (ending a 28 game winning streak) and 7-0 to Notre Dame, else we may have had a third consecutive national title. All-Americans were E.J. Junior and LB Thomas Boyd. Major Ogilve, one of my favorite all time Bama runners, scored in the Cotton Bowl victory over Baylor (30-2) and became the first player to score in four straight New Year's Day bowl games. 1981 (9-2-1) was the year The Bear tied Amos Alonzo Stagg's record of 314 coaching wins in the 31-16 victory over Penn State and broke it against Auburn 28-17 to become College football's winningest coach. All-Americans were Thomas Boyd and Tommy Wilcox. 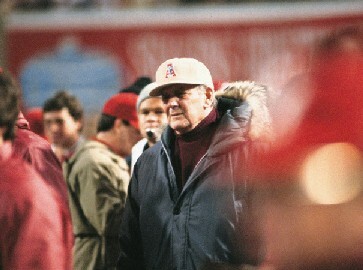 Coach Bryant retired from coaching following the 1982 (8-4) season. DE Mike Pitts and DB's Jeremiah Castille and Tommy Wilcox were named All-Americans. Bryant's last game came against Illinois in the Liberty Bowl, Alabama won the game 21-15 making Bryant's record as a head coach 323-85-17 (232-46-9 at Alabama). 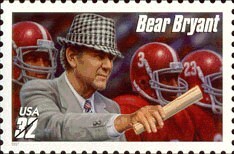 He coached at Alabama for 25 seasons, winning national titles in 1961, 1964, 1965, 1973, 1978, and 1979. In his career he participated in a total of 31 post-season bowl games including 24 consecutively at Alabama. He had 15 bowl wins, including eight Sugar Bowls, was a 10-time Southeastern Conference Coach of the Year and a four-time National Coach of the Year. Sixty-five of his players made first team All-American with seven more being named Academic All Americans. Following the game the team carried Coach Bryant off of the field. On January 26, 1983 Coach Paul William Bryant past away and was laid to rest at Elmwood Cemetery in Birmingham. 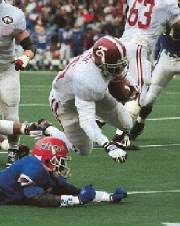 Former Bryant player Ray Perkins was selected to lead Alabama football into the post Bryant era. His first season (1983) at the helm concluded with a victory over SMU in the Sun Bowl and an 8-4 record (current Alabama head coach Mike Shula was a freshman), much better than the 5-6 ending of 1984. 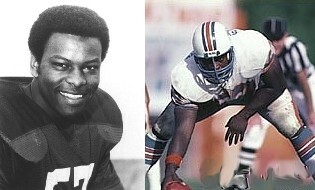 LB Cornelius Bennett (future NFL standout with the Buffalo Bills) was selected as All-American in 1984. The Tide's record in 1985 was 9-2-1, including the 25-23 victory over Auburn; the game was won on the last play when kicker Van Tiffen was successful on a 52 yard field goal attempt in a play that has become known to all Alabama fans as "The Kick". 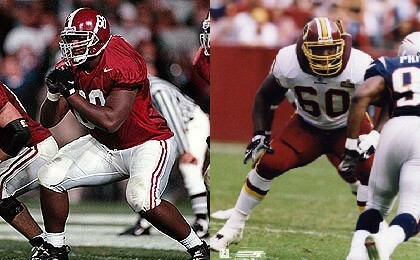 All-American in 1985 were LB Cornelius Bennett and DT Jon Hand. 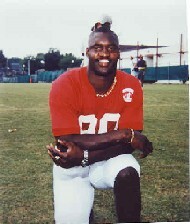 In 1986 (10-3) Bennett was named All-American for the third straight year. He was joined by RB Bobby Humphrey and K Van Tiffen. For his career Tiffen attempted 135 PAT's and was successful on all 135. 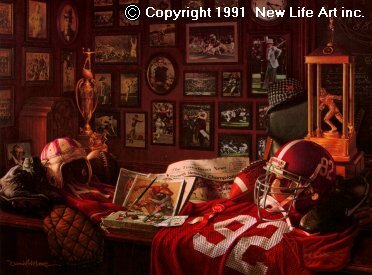 By artist Daniel Moore: Left is Van Tiffen "The Kick"; Right is Cornemius Bennett "The Sack"
Perkins left following the 1986 season (his record at Alabama was 32-15-1 ) and was replaced by Bill Curry. 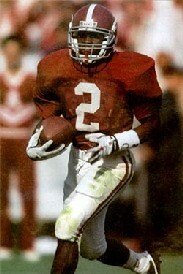 Humphrey was All-American and Bama was 7-5 in 1987. 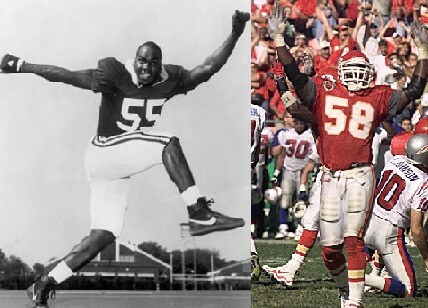 LB Derrick Thomas (who would later star in the NFL for the Kansas City Chiefs until his career was cut short due to his death in an automobile accident), G Larry Rose and S Kermit Kendrick were named All-American from the 1988 (9-3) team. 1989 (10-2) started out with Bama winning its first 10 games only to lose to Auburn and eventual national champion Miami in the Sugar Bowl. All-Americans were LB Keith McCants and CB John Mangum. Curry (26-10-0) left Alabama for Kentucky following the 1989 season and was replaced by former Bryant player at Texas A&M Gene Stallings. Alabama was 75-33-2 during the 1980's. Stallings' first year as Alabama head coach (1990) started out with three consecutive losses, but ended at 7-5 with Kicker Philip Doyle being selected as All-American. Only a loss to Florida prevented Alabama from reaching perfection in Coach Stallings' second season (1991), we finished 11-1 (season ending 5th AP and USA Today ranking) with NT Robert Stewart earning All-American honors. 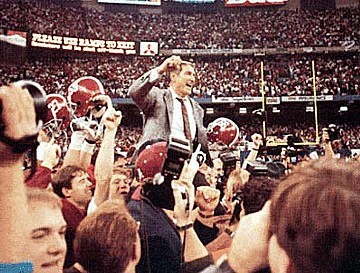 1992 was the 100th season of Alabama football. Alabama's "Century of Champions" celebration season was like a fairy tale! The offense was led by QB Jay Barker, RB Derrick Lassic and reciever/returner David "Deuce" Palmer. A dominating defense paved the way to perfection; we finished 13-0 and were crowned national champions yet again, Alabama's 12th title. The Tide defeated Florida 28-21 in the first ever SEC Championship Game, secured by All-American Antonio Langham's TD on an interception to set a date with destiny in New Orleans in the Sugar Bowl against Miami. No one except Bama faithful gave Alabama a chance against the high octane Hurricane offense, but The Tide quickly showed they came to win. No Bama fan will ever forget the play where S George Teague ran down speedy Miami receiver Lamar Thomas, who looked to be long gone for a TD, but instead of tackling him Teague took the ball away. Notice the looks of shock and pure agony on the Miami cheerleader's faces. Prior to the game Thomas was qoted as saying, "Alabama's cornerbacks don't impress me one bit. They're overrated." 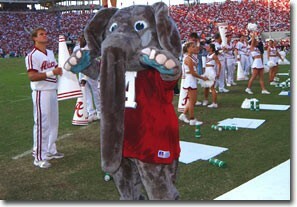 At the final gun the score was Alabama 34 Miami 13. The victory secured the Tide being honored as a unanimous choice as the nation's best team. All-American DE's Eric Curry and John Copeland led the defense who only gave up 121 points all season while the offense score 366 (an average score of 28-9). Coach Stallings was unanimously selected as National Coach of the Year. Bama dropped to 9-3-1 in '93. Antonio Langham repeated as an All-American. He was joined by K Michael Proctor and David Palmer, who also finished third for the Heisman Trophy. 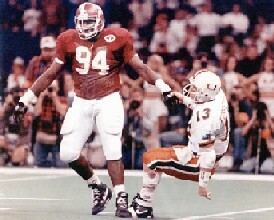 Bama finished 12-1 in 1994 with the only loss coming in the SEC Championship against Florida. 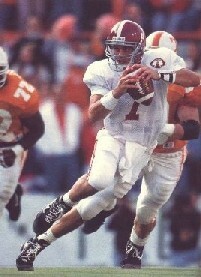 In 1994, his senior season, Jay Barker was selected All-American as was K Michael Proctor. 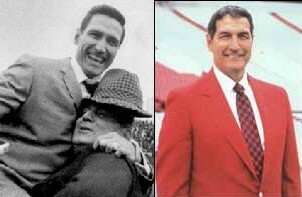 Coach Stallings retired from coaching after the 1996 season (10-3). SS Kevin Jackson, LB Dwayne Rudd and DT Michael Myers were All-Americans. In the 1996 victory over LSU freshman RB Shaun Alexander scored four TD's, ran 20 times and gained 291 yards setting an Alabama single game record. Mike Dubose was chosen to replace Stallings who finished his stint as head coach with a record of 70-16-1. Dubose's first year as head coach ended with a losing record (4-7) and was a disappointment to say the least. 1998 was an improvement (7-5), but still well below standards. Dubose was nearly fired prior to the 1999 season, but managed to hang on and had his best year as head coach (10-3) winning the SEC Championship. 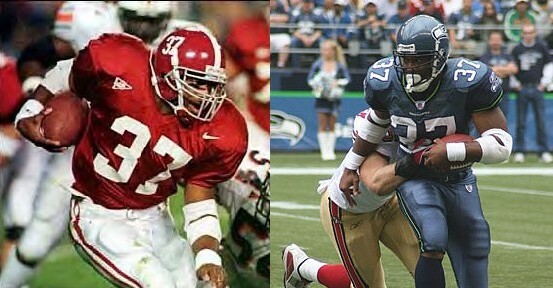 RB Shaun Alexander (currently with the Seattle Seahawks reached pay dirt 24 times and Tackle Chris Samuels (now with the Washington Redskins), winner of the Outland Trophy for best college lineman, were both named All-American. For the 1990's The Tide posted a record of 88-33-2. Mike Dubose was fired following the debacle that was the 2000 season (3-8) and replaced by Dennis Franchione. Dubose's record as head coach at Alabama was 24-23. Franchione looked to be a promising coach, turning the tide at Alabama and leading the team to a winning record in 2001 (7-5). Alabama received NCAA sanctions that prevented us from going to a bowl game following the 2002 and 2003 seasons. Despite that in 2002 Bama compiled a 10-3 record with the future looking bright. Unfortunately Franchione showed his true character by betraying everyone when he defected to Texas A&M without even talking to the team. Mike Price was chosen to replace Franchione, but was dismissed before the 2003 even started due to off the field discrepancies (its rolling baby). 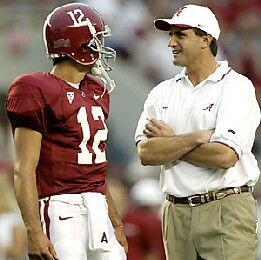 Mike Shula (former Alabama QB under Ray Perkins) came to lead the team just before the season started. He began a rebuilding of the program but his first season was understandably sub par (4-9). We were bowl eligible again in 2004 and finished 6-6 following the Music City Bowl loss to Minnesota. Despite two tough seasons the spirits are up here at Alabama and we are expecting to surprise many and do very well this year. Have any questions or comments? Please use the form below to submit.